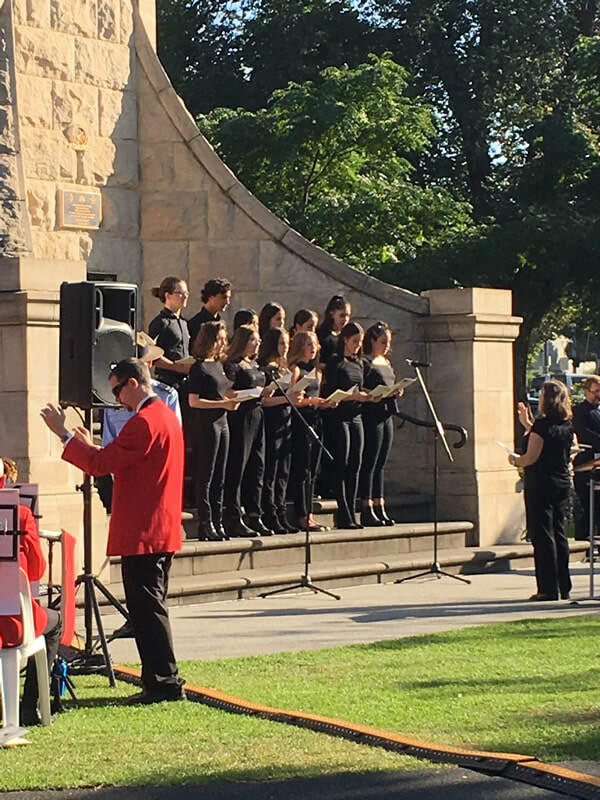 Thanks to the vocal students who performed at the City of Moonee Valley ANZAC Day Commemoration Ceremony last Sunday. 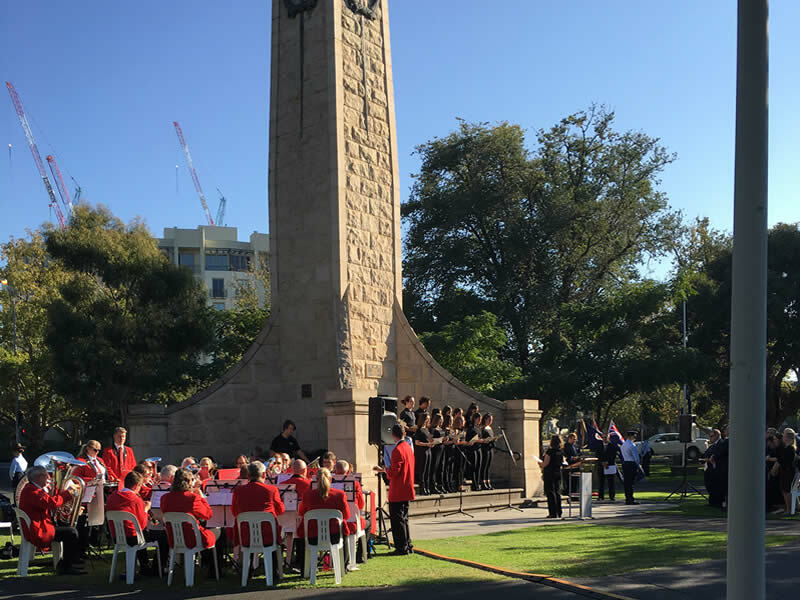 The Moonee Valley Council always holds their ceremony on the Sunday before ANZAC Day. As always, our choral students represented our school so well to the community with their singing, accompanied by the Moonee Valley Brass Band. The magnificent weather on Sunday also contributed to the wonderful sense of acknowledgement of the importance of the event. College Principal, Jill English, along with students, Henry Whitmore and Tom Lindsay, laid a wreath at the cenotaph on behalf of the school. Thanks to our vocal teacher, Karen Haranis, for conducting the choir on the day. Thanks to: Peter Babatsikos, Emily Flaim, Aleksandra Lyche, Ava Petropoulos, Olivia Vecchiarelli, Henry Whitmore, Thomas Lindsay, Nicholle Subur, Ana Domanski, Nell Domanski and Sophie Kolliou. Thanks also to April Whitmore and Emma Monaco for coming back to sing with us, even though they are no longer students at the college – much appreciated!